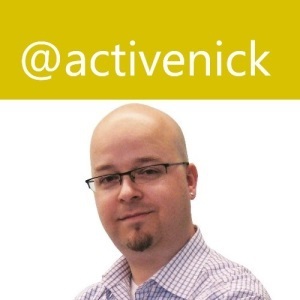 Nick Landry (@ActiveNick) is a mobility pioneer and former entrepreneur specializing in cross-platform mobile app development for Windows, iOS and Android devices. Nick works at Microsoft as a Senior Technical Evangelist in the New York Metro area. He spent most his career in IT consulting, software and services companies across various technical and business roles, designing, building, managing and selling innovative software products and solutions for the world's top brands and Fortune 500 companies. Known for his dynamic and engaging style, he is a frequent speaker at major software development conferences worldwide, was a 10-year Microsoft MVP awarded on Windows Phone Development, and a Nokia Developer Ambassador & Champion. With over 24 years of professional experience, Nick is a certified developer and software architect by trade and specializes in Cross-Platform Mobility, IoT, Cloud, GIS and Mobile Game Development. He is an active blogger, occasional author, avid gamer, loving husband and proud father.